Размер 118 мм x 97 мм x 31 мм, вес 754 г.рамма. Образец покрыт фантастическими ленточными кольцами различных оттенков зелёного цвета. 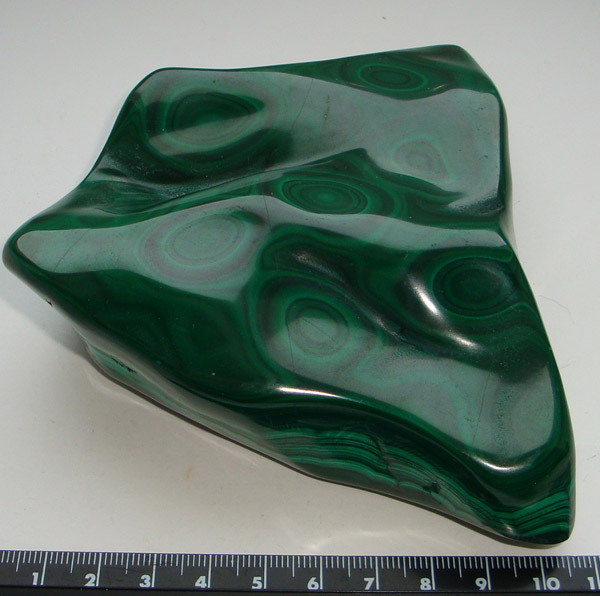 This is a beautiful, highly polished large Malachite specimen, from Kalukuluke in the Congo copper basin. This specimen measures 118mm x 97mm x 31mm and weighs 754g. 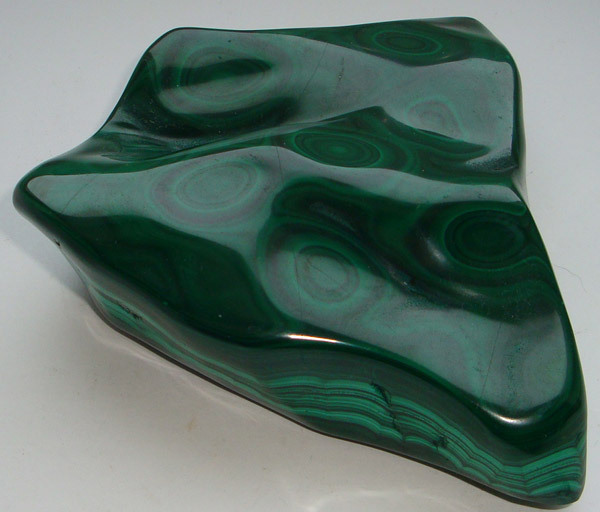 This interestingly shaped, piece of malachite is polished to a high standard. 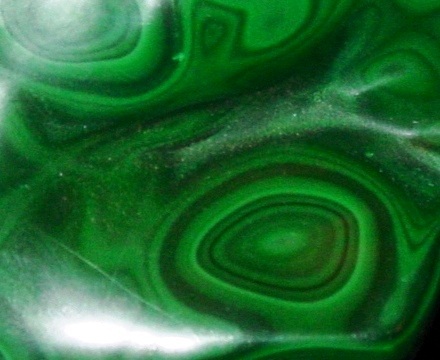 It is covered in fantastic banded rings and patterns, in various rich shades of green. 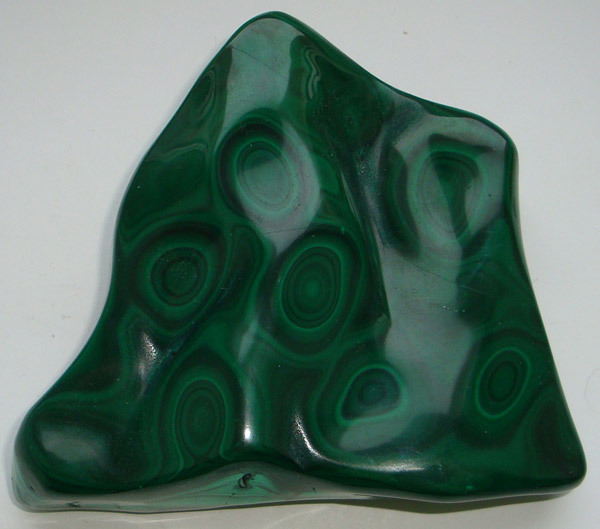 Malachite is a stone of transformation and helps with change and spiritual evolution. It helps balance pure love, romance, and one's own well-being. 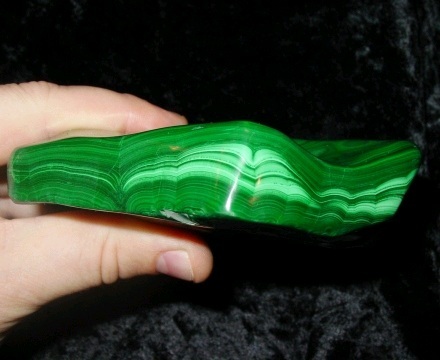 Malachite is also a stone of good fortune and prosperity/abundance. 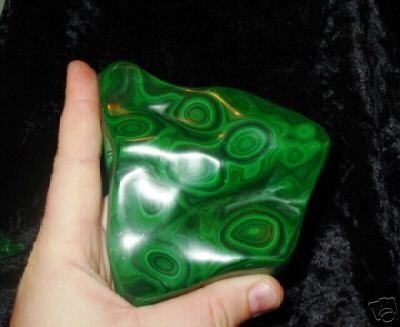 It is a very protective stone, being especially helpful for general protection, protection from evil, protection during pregnancy and childbirth, and protection for children. 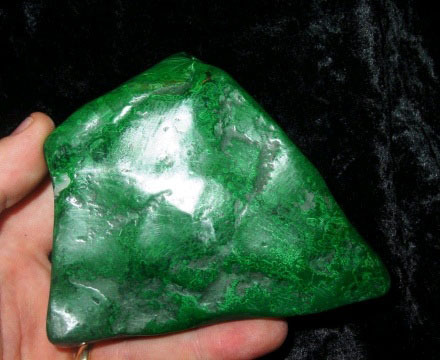 It is also an excellent protection stone during flying and other travel.